These speakers are absolutely incredible. No need to recite all the features these have but the new K12.2's definitely take things a step further than the older K12's. Sound wise they are very clean/clear and get surprisingly loud, not just for their size but full stop. Not quite as much bottom end as the older K12's in deep mode, but the overall sound quality and output make up for it. The mixer/dsp along with options to dual pole mount, fly, yolk mount, and wedge angles makes this box really flexible. Really these boxes are just a great choice and can be used in so many ways to cover all sorts of gigs. 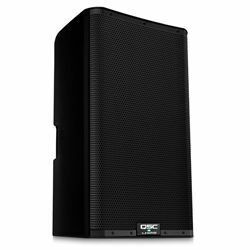 On top of that they have QSC quality and sound great! Advantages: Great sound, loud, onboard DSP, onboard mixing/input options, light weight, good looking.